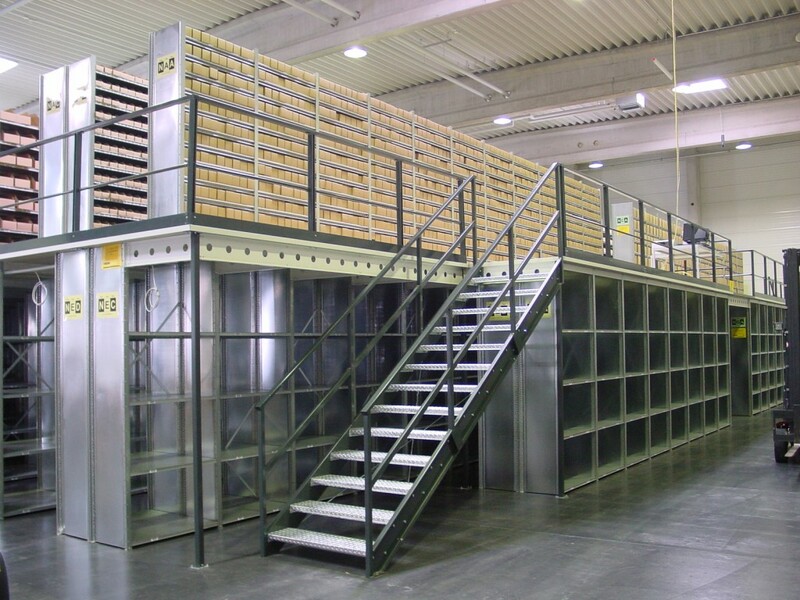 Shelving Storage Platforms are a cost effective way of creating extra storage area by utilizing available empty air space, without the need to invest in new building construction. A shelving storage platform is a mezzanine built primarily around a shelving system. It can be built as basic and simple as a suspended catwalk design or a more elaborate full blown mezzanine structure. 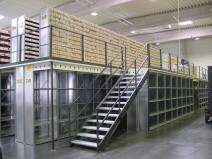 These structures are ideal for small parts storage and can be surprisingly versatile with their wide array of options. These structures are very commonly three tiers high and can be assembled as quickly as a couple of days.